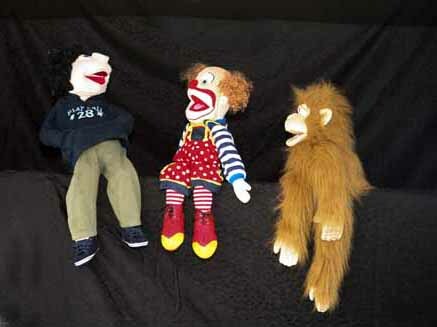 Using puppets, circus skills and other educational aids, we have created a number of programmes to help create a better awareness of healthy living. not so serious, but factual way. 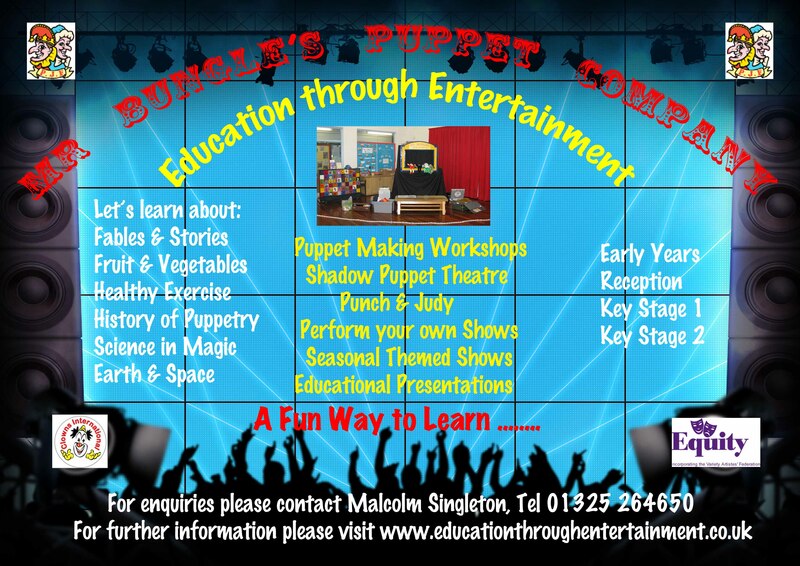 Art & Design - Puppet making and performing workshops. History and Design / Technology topics, inc. Understanding the Food Chain. Our programmes have been developed to accompany topics within the National Curriculum. We have a dedicated Programme for Early Years & Reception age groups. Mr Bungle ( Malcolm ) has recently completed the MAKATON for Professionals Foundation Workshop. Malcolm has put together a series of Activity Workshops to assist Special Needs Learning.